Aviation Engineering - CED Technologeis, Inc.
Aviation law does not just involve airplanes, but the branch of law that concerns flight, air travel, and associated legal and business concerns. It governs the operation of aircraft and the maintenance of aviation facilities. Likewise the aviation experts needed are not just pilots and crash investigators, but engineers familiar with hangar bays, runways, tarmacs, lifts and vehicles, and all the facilities and activities that accompany aircraft flight. There are construction and premise liability issues, vehicular accidents, OSHA compliance issues and product liability cases, all occurring in the aviation environment giving them a unique aviation bent. CED engineers have been called upon to investigate accidents involving luggage falling on a passengers head and slip & falls on a jet bridge. We investigated work mishaps on airfields and tornado damaged hangars. In all investigations, it is important that the engineering expert possess the engineering credentials to qualify them to work on a case. However, in aviation cases, the expert must also be experienced with working in the aviation environment. The unique hazards and operational challenges that exist in an aviation setting require a trained expert who has worked in an aviation setting and is familiar with the subtle vagaries of this environment. CED, originally formed by a group of United States Naval Academy professors and instructors, has decades of aviation knowledge and experience. Our engineers amassed thousands of hours in military and civilian aircraft; designed and developed avionics and flight systems for fixed and rotary winged aircraft; built aircraft facilities around the globe and performed compression tests on honeycomb seat cushions of military aircraft to assess long-term wear behavior. 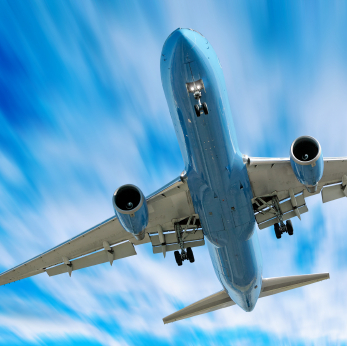 CED’s mechanical, electrical, civil, biomechanical engineers and material scientists are all familiar with and experienced in the aviation world.